ListMonger 3.0 provides the ability to slice and dice lists, right in hand, in ways that no other iOS list-making app hints at. It is a universal app, which provides iPhone, iPod touch, and native iPad support bundled together in a single app. 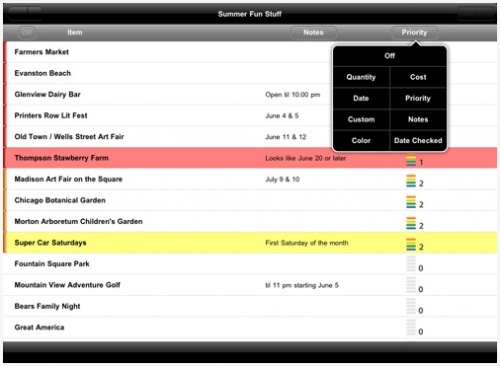 ListMonger 3.0 is only $2.99 (USD) and available worldwide exclusively through the App Store in the Productivity category.